The Radiochemistry Society is making a lasting and positive impact in the lives of young scientists around the world. Our efforts in fellowships, academic outreach and fundraising campaigns for research are making a difference. The Radiochemistry Society is dedicated to building and maintaining a supportive relationship with the scientific and professional communities around the world. The Radiochemistry Society's mission statement stands as a goal and objective to those whom we support through our fellowships, academic outreach and fundraising campaigns for research. We provide a path for 100% of your donation to be passed on for its intended purpose. 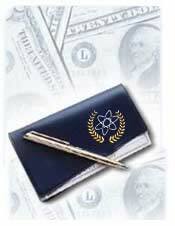 The Radiochemistry Society is a tax exempt 501C3 corporation and all donations are tax exempt. Many companies have a matching donation policy which allows you to double your efforts in giving. Giving is made convenient through our on-line giving program (ssl secure). The Radiochemistry Society supports your efforts in giving by placing no overhead, tax or burden on your gift.